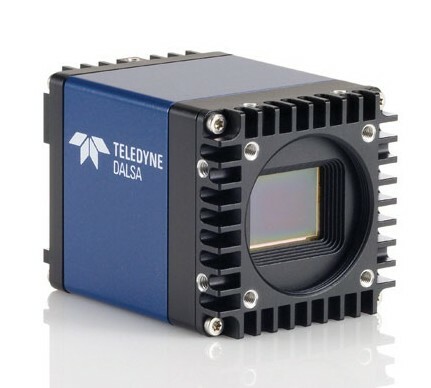 The Falcon2 series is Teledyne DALSA’s latest high-performance area camera family, featuring the latest CMOS technology for high speed, high resolution imaging with true global shutter operation, the Falcon2 cameras deliver high quality images of fast-moving objects without smear or distortion. 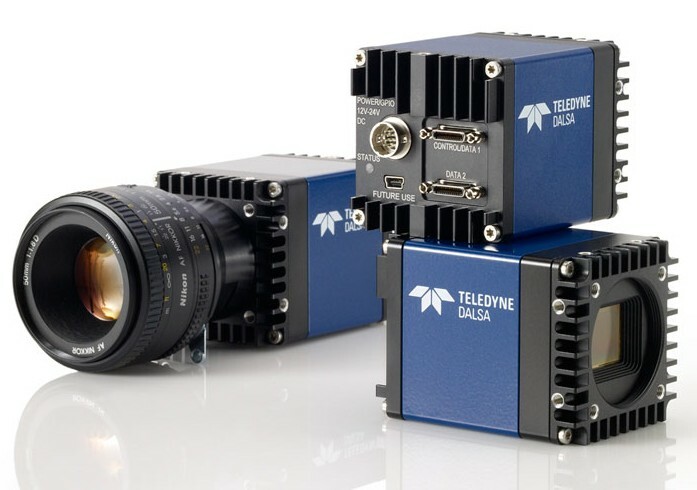 Teledyne DALSA’s Falcon2 cameras also provide an extensive feature set including programmable exposure time via Camera Link interface or additionally by external hardware signals, and selectable aspect ratios (4:3 and 1:1). Wrapped in a remarkably compact, rugged, thermally efficient body that has been optimized for industrial applications, the Falcon2 cameras deliver outstanding performance and value. functionality requires specific design features, and not all sensors have them. Full-frame CCDs require mechanical shutters or strobing to achieve this result, introducing more cost and complexity into the vision system. Frame-transfer CCDs may not provide the speed required, or may be difficult to cost-justify due to the extra silicon required for the storage area. Standard rolling-shutter CMOS sensors distort images of moving objects because they only read out one line of their arrays at a time—by the time they read the next line, the object has moved. This distortion is a major obstacle for machine vision applications such as automated sorting or defect inspection—objects that that should be a “pass” are judged as “fail” because the image fed into the pattern-matching algorithms is distorted. For example, instead of valid round holes, the system would see unacceptable ellipses. But interline CCDs and true global shutter CMOS sensors are ideally suited to imaging fast-moving objects. They capture crisp images without smear or distortion by electronically shuttering all pixels simultaneously even at short exposure times. 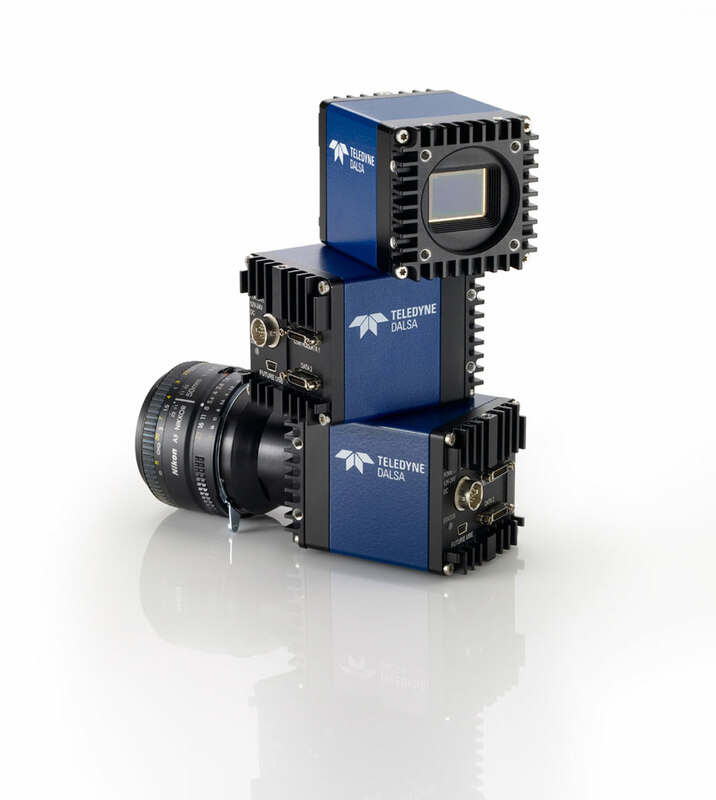 Teledyne DALSA’s Falcon cameras (Camera Link) and Genie and Genie TS cameras (GigE) both provide true global shuttering.